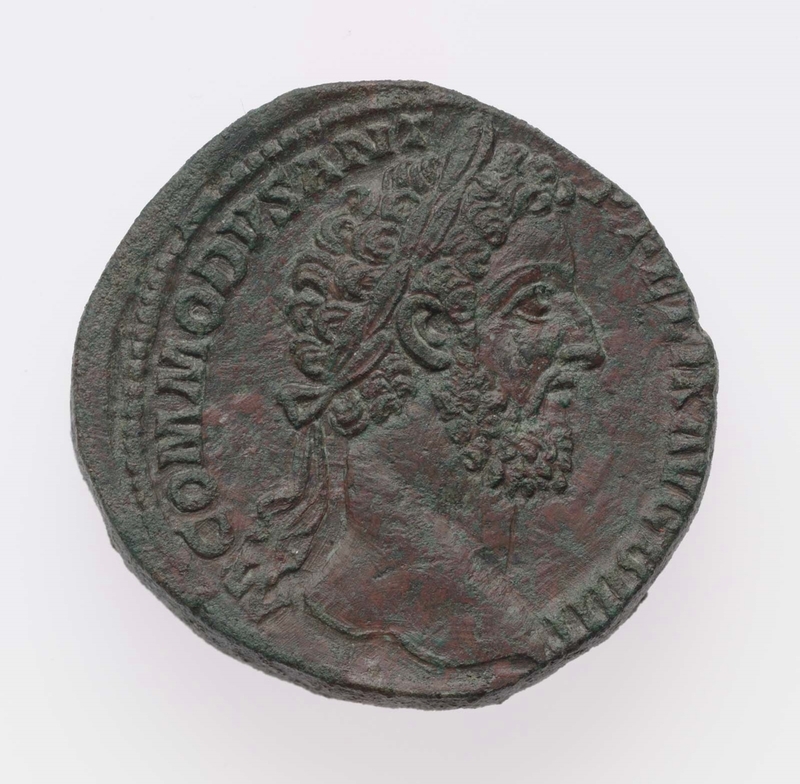 Obverse: Laureate bust of Commodus to right. 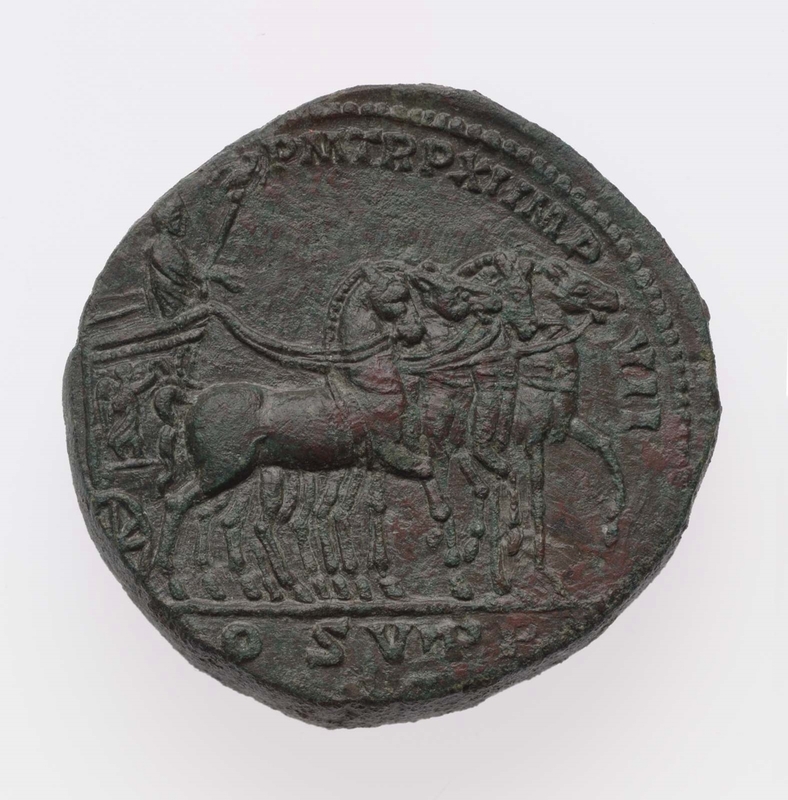 Reverse: Emperor in quadriga right, holding reins and eagle-topped scepter. Victory on side of car.